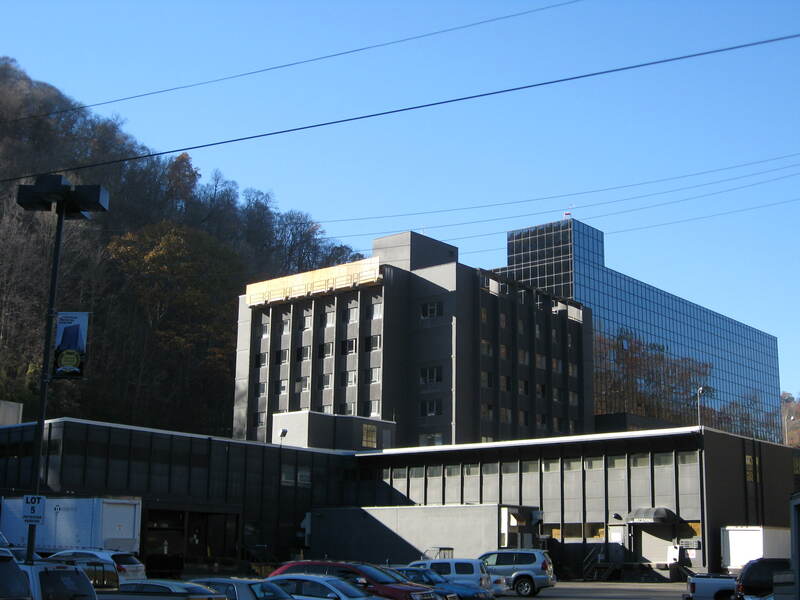 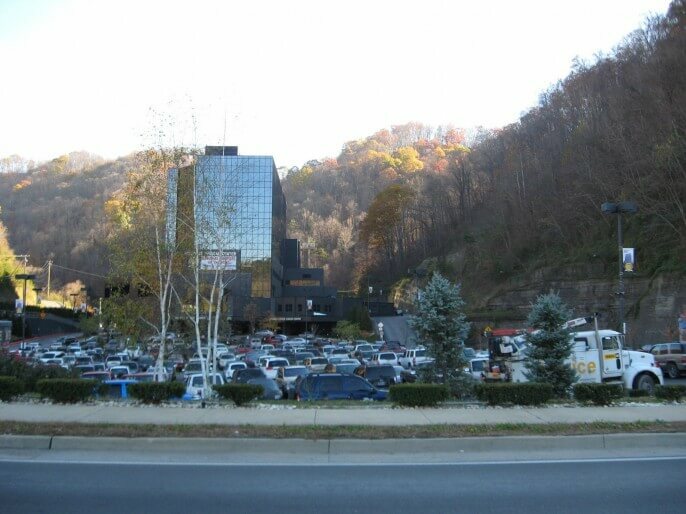 Pikeville Medical Center, located in Pikeville, KY, is a leading provider of healthcare services within the region. 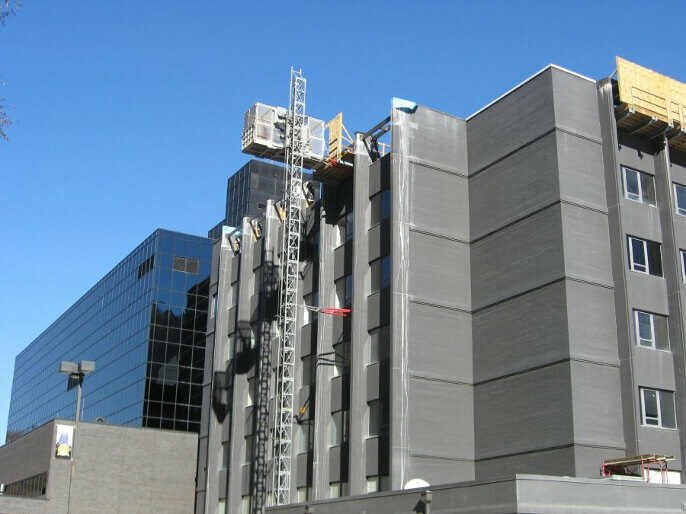 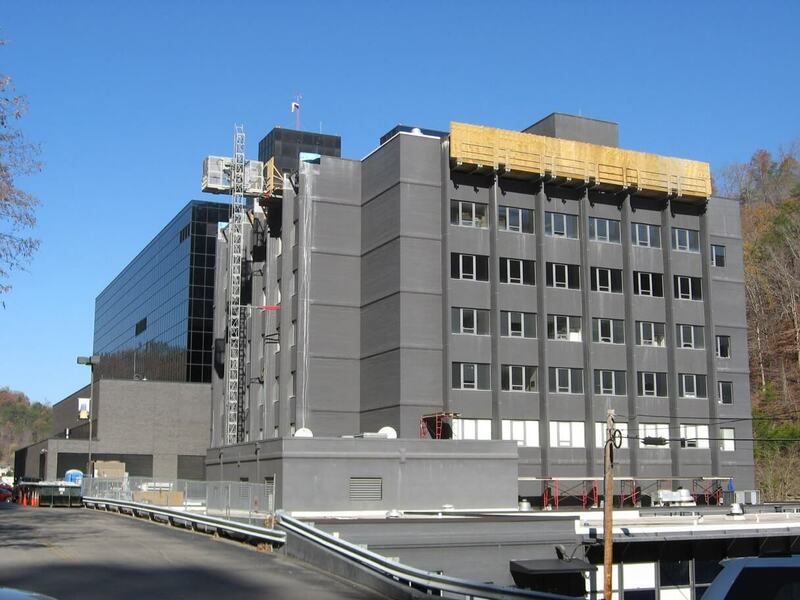 This 3-phase project involved material hoists and multiple crane mobilizations as well as a temporary platform 9-stories high. 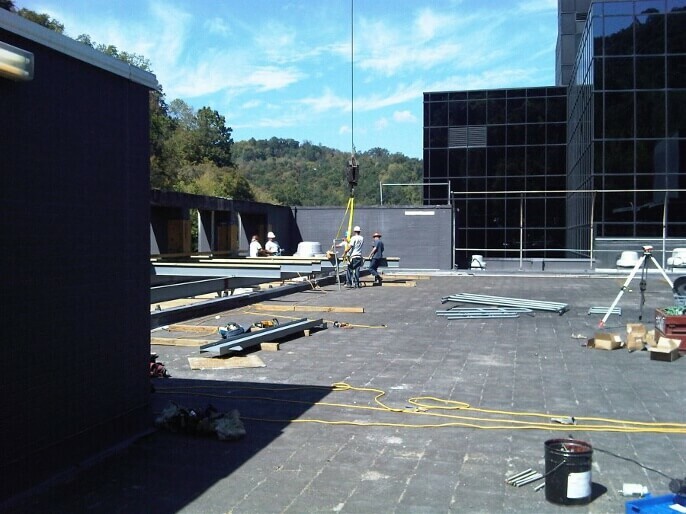 Work included the removal and replacement of the roof parapet cap.